Recently I attended a band concert at Utah State University. The first band to perform was the Symphonic Band, largely made up of Freshman music majors and other non-music majors. They performed their selections technically very well, but there was something even more impressive to me. 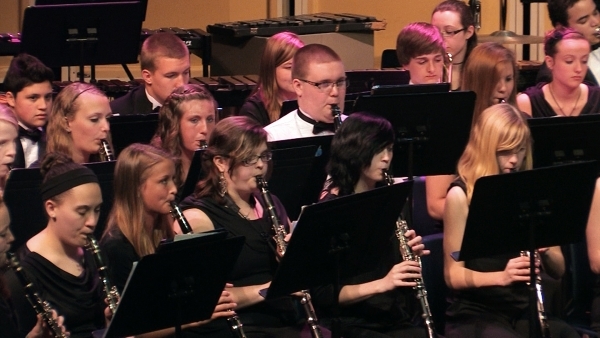 The difference between a lot of "good" high school musicians and what I saw at USU was simply this: buy-in. Every single member of the ensemble gave every possible indication that they were completely focused and enjoying what they were doing. In short, they had buy-in. From an audience perspective, the body language and perceived attitude of the performers can make all the difference. I've certainly heard better, cleaner performances, but rarely have I been as engaged in watching and enjoying the entire performance. 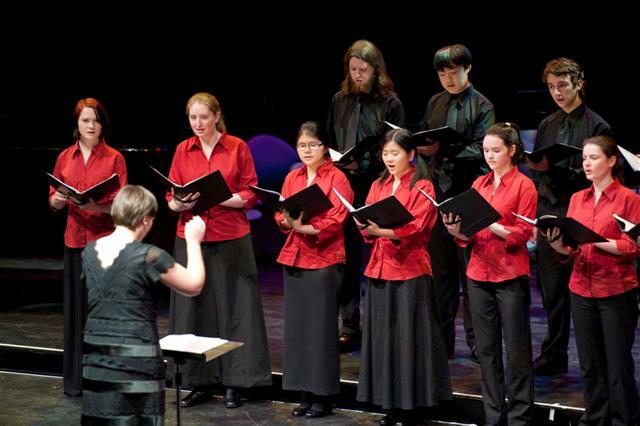 Likewise, when I went on this trip, I got to hang with a very small high school choir. Seriously, the choir was made up of twenty-three students - the entire student body! Let that sink in for a moment. The entire school is in the choir, and there are twenty-three of them. When we met the kids, I honestly expected a sorta-kinda-not-so-bad sounding ensemble, and I couldn't have been more surprised. 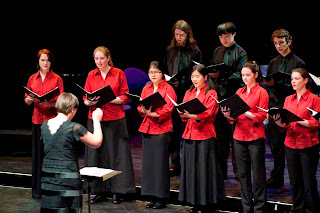 The choir's performance was excellent - compelling, even. Each singer (as with the USU band) was engaged and actually performing. It was mesmerizing and inspiring, not to mention that it was musically very sound. Later, I asked the director of this choir a few questions. My first was, "How do you get every single student to get involved like that - to really sing and really perform?" Her answer to this question provided another mind-expanding moment for me as an educator, and as a leader. Roughly paraphrased, she said, "I don't get them to buy in - they do it for themselves. Every year I sit the seniors down and say, 'This is your choir. You have worked hard your entire career in this school to build it. If you want it to continue, you've got to bring in the new and younger students, help them to feel welcome and understand how important they are.' I know that as the teacher, I can only do so much, and that they have to find the desire to perform - to be expressive - by themselves." Candidly, I don't know what the magic bullet is, whether it's just having a great group of kids, an outstanding tradition, a dynamic and effective leader - likely a combination of at least these factors - or if there is something more. But I do know that when I watch performers who are engaged and visually demonstrate their confidence in and enjoyment of the music, I have a better experience as an audience member. Whether you're a performer, a conductor or an educator, my message is this: Buy in. Go all the way. Treat every musical experience as if it will be your last, and savor every note. You'll enjoy it more, and so will your audience. What are you bringing to the kitchen? One of the biggest frustrations for musicians who are starting to develop into good players is often the people around them. I'm sure I'm preaching to the choir, as it were, but here goes. 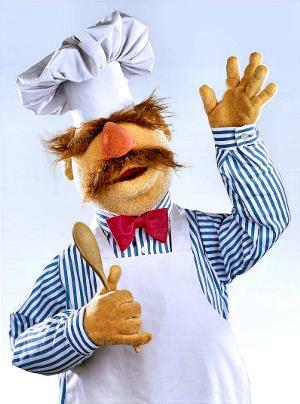 Think of a rehearsal like a bunch of cooks in the kitchen. Each member of the band or group has the assignment to bring an ingredient to make, say, chocolate chip cookies. You need eggs, milk, flour, chocolate chips and so forth. So let's say you spend time finding just the right wheat, preparing it, sifting it, grinding it into beautiful flour. You have it ready well ahead of the rehearsal, and you bring extra, just in case there's a spontaneous double batch in the works. When you get there, the person who was supposed to have the chips says, "Sorry, still making these chocolate chips. I'll have them ready next time. And you're totally going to love them, they'll be so awesome! Let's bake some cookies anyway, and imagine they have chocolate in them." And the egg guy or girl is like, "Yeah, no eggs yet, but I brought the chickens! Let's try it again, and maybe they'll lay some eggs." Pretty soon you lose your motivation to work on your flour, or you take it elsewhere, or you give up baking altogether. 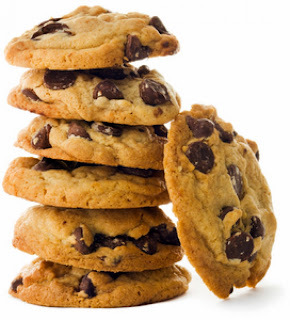 The point is that we can spend more time baking a better, tastier cookie if the ingredients are all there very early on in the rehearsal process. You have to ask yourself if you're bringing the highest quality, best produced ingredients that you're capable of, or if you're compromising the end product with your lack of preparation. Prepare your ingredients well, and you'll find yourself "baking" at a high level with serious pros. 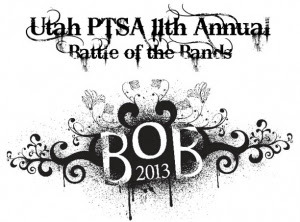 A few months ago, I was on the panel of judges for the Utah PTA's Battle of the Bands Finals (2013). Don't let anything get in the way of good tone, time, musicality, etc. It's easy to get excited during performance, but put the music first. Know your role. Good music is like a house, made up of necessary, quality parts. Not all of them are seen, but all contribute to the quality and comfort of the home. If that means you need to play back a little, or not have a solo, or play more texturally, then do it. Listen, listen, listen. And act like you're listening. It's okay to make eye contact with other members of the band, especially during their solo. Put on a united visual image. Differing styles distract from the music, especially if the look and feel are different from the music. This is why a lot of music groups show up on stage in neutral greys and blacks - it allows them to play what they want and let the music speak for itself. Support the front man/woman. Know what's the "thing," and how to support it. Have fun, and show it. Don't go overboard, but look happy and confident, not nervous and scared. Play to your strengths and within your abilities. I'm not saying you shouldn't push the edges, but the audience "vibe" completely changes when they're worried that you might not land the next fill or riff. Be humble and gracious, but don't stutter. "Um," doesn't help your show. Put simply, do whatever you need to do to make the music speak for itself, and don't do anything that will get in the way of that message. Practice - What does that look like? I have a love/hate relationship with a certain question that I frequently ask my students. The answer - say it with me, people - is, "Practice." Yup, the dreaded p-word. And are they right? You bet they are. Good, solid practice cures just about everything that ails musicians. The problem is that when most people say, "I need to practice," they might as well be saying, "I need to build a house." "Good. You need to practice. Can you tell me what that will look like?" When I first shifted to this tactic, I got a lot of startled looks from my students. It was as if they were saying, "What do you mean? I answered the question! 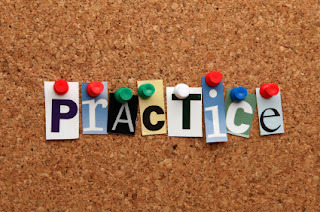 The answer to your question is practice! There shall be no further questions after this answer is given." As I said, you might as well be trying to build a house. You have sort of an idea of what the finished project will do (maybe you'll live there), but you haven't defined any of the critical components or addressed the different parts of the total process. How many floors will the house have? How many bedrooms and bathrooms? Will it have a garage? What materials will you need? Where will you build it? When will you start? Will you need any special tools? Do you need help, or any special permission to build it? 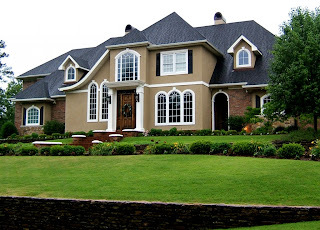 Before you can build a house you need a plan, and then you have to proceed in a specific order. You can't paint walls that haven't been built yet. What will the final result of this practice session be? In other words, how will I know when I've accomplished my goals for today (or this week/month, etc)? What do I need to do first - right now - to make progress? Knowing the very next thing that you need to do - and doing it! - may be the make or break moment for any given practice session. As Mary Poppins famously opined, "Well begun is half done." I realize that this is not a new or earth-shattering concept, but hopefully it has gotten you thinking about the next steps you need to take to get going in your next practice session. *Yes, this is a drumming blog, but allow me to recommend a business book that helped to change my paradigm not only on practicing, but being efficient in life. It's called Getting Things Done, written by David Allen. You can check it out here.